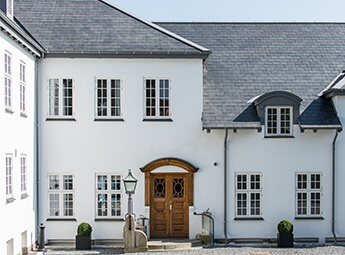 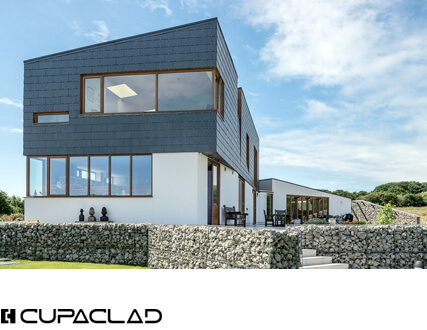 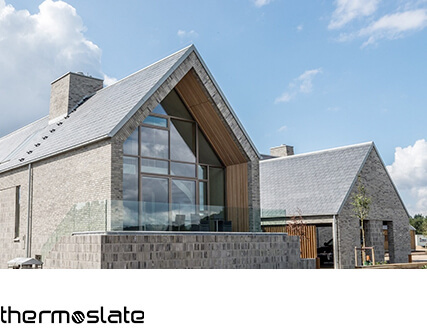 The THERMOSLATE® range of solar thermal collectors enables you to integrate a solar collector totally invisibly into any natural slate roof or cladding. 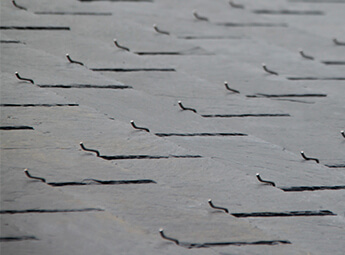 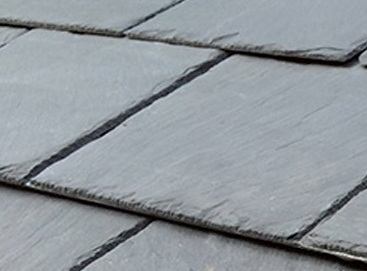 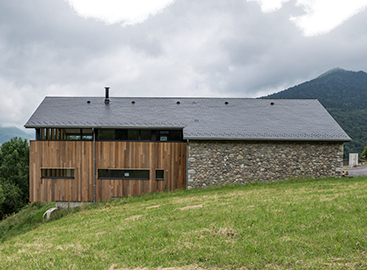 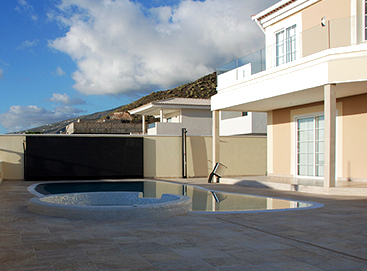 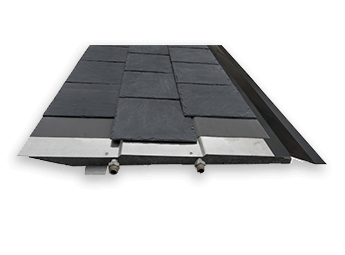 This patented design gives a perfect integration of natural slate on any roof of >20º slope. 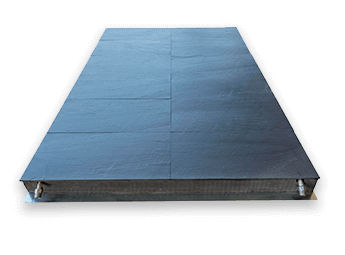 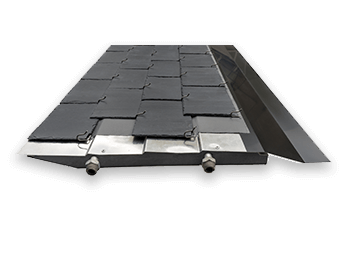 A flat thermal solar panel designed for natural slate flat roofs, floors and façades. 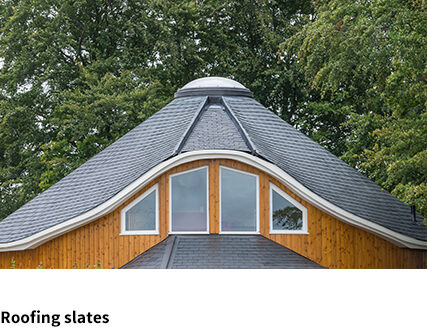 For flat surfaces. 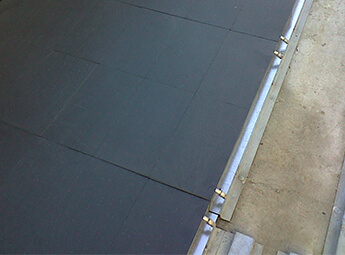 Invisible fixings.